Mercedes-Benz car repair in Santa Ana, CA. 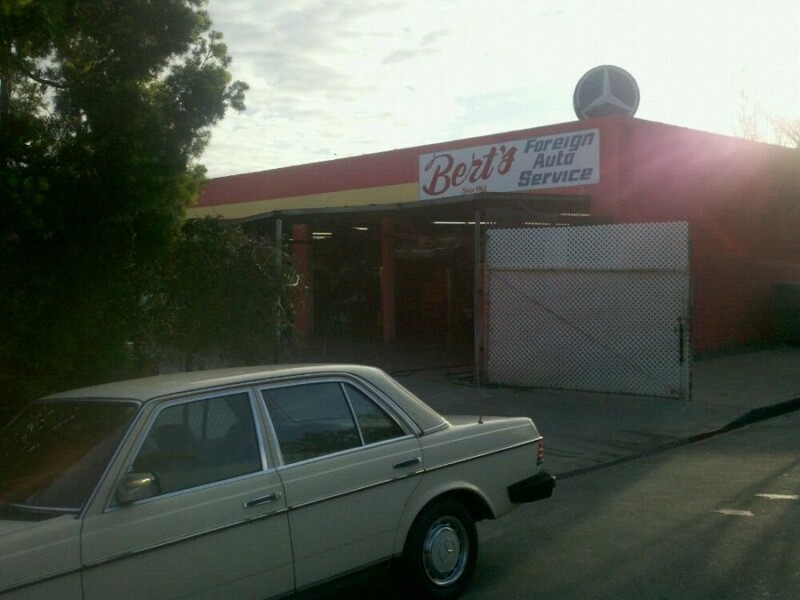 Bert's Foreign Auto Service is a full-service foreign auto repair shop, specializing in Mercedes-Benz repair, that has been performing high quality, guaranteed Mercedes-Benz auto repair in the Orange County area since 1962. We also service and repair most other Asian, European and domestic vehicles. Stop in to our independently owned Santa Ana Mercedes-Benz service center today! Tried Bert's Foreign Auto Service for the first time. Not the cleanest shop, but Ron and his assistant got the job done in a reasonable amount of time and charged fairly. Ron is quite a character and off road motorcycle enthusiast He knew several repeat customers on a first name basis. He even offered me some French fries and a soda while waiting. He has a TV in the lounge it was tune to Top Gear - great show. They seem, a bit disorganized at times, but provide good honest personalized service.